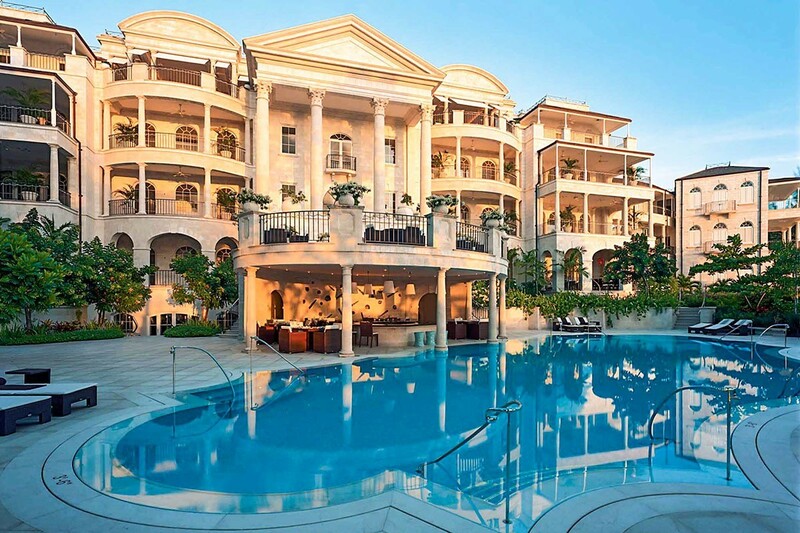 One Sandy Lane, Barbados. 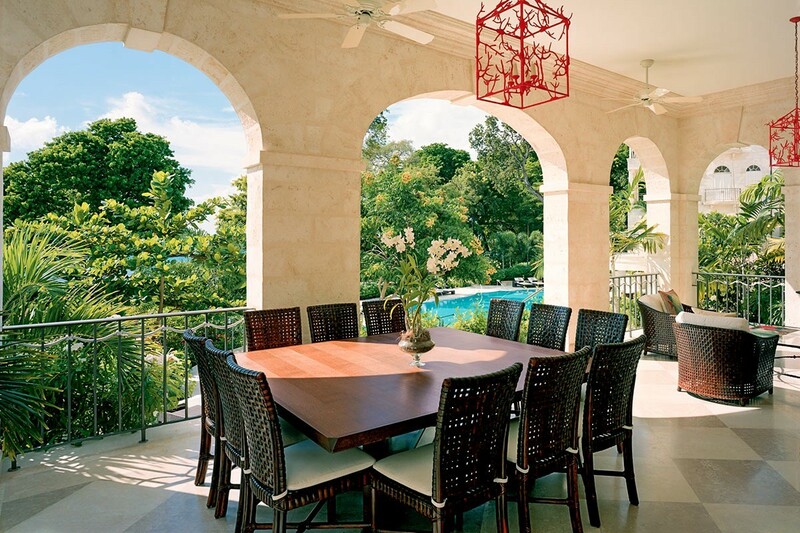 Soaring French arches overhead, beautiful Italian marble underfoot, and a stunning Caribbean view from every room make Villa One Sandy Lane the perfect luxury getaway for that once-in-a-lifetime trip you’ve been dreaming of. 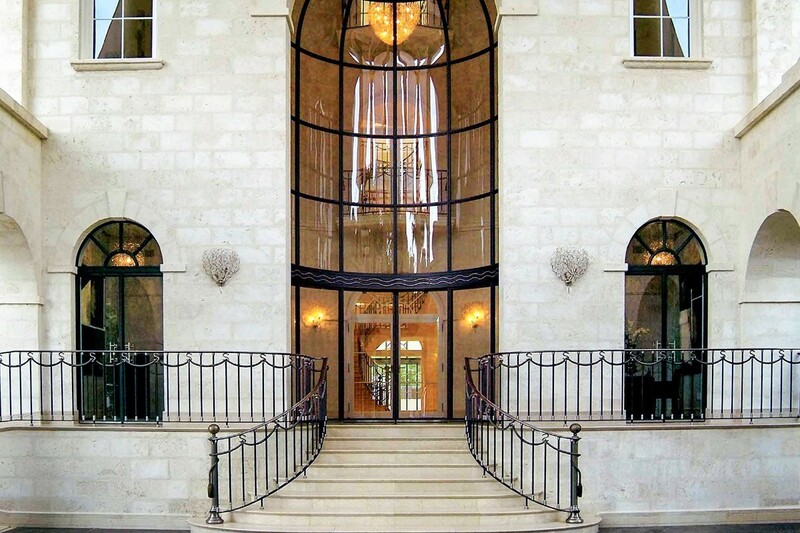 This gorgeous villa features a sweeping staircase made of wrought iron that sets the tone for the most elegant getaway you can imagine. 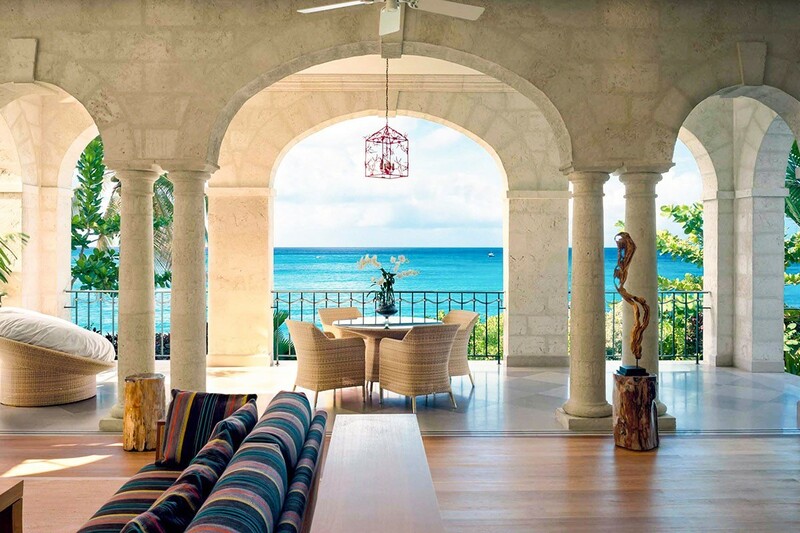 Arches, pillars, sprawling living spaces, and wide-open views make this villa ideal for the discerning traveler. Up to 10 guests will be perfectly comfortable in this five-bedroom, five-bath villa, and you’ll all love the private beachfront, accessed via your own gate right on the property. 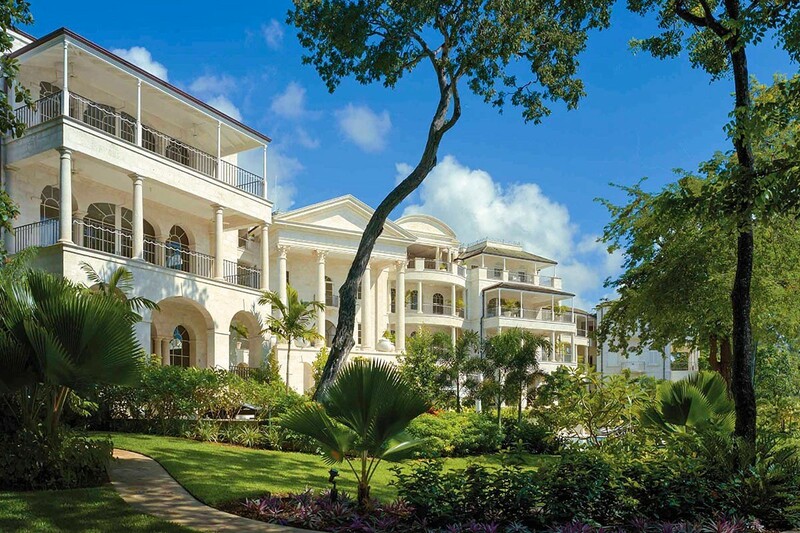 One Sandy Lane features over 8,000 square feet of space, along with a private terrace and access to sweeping beachside spaces to relax. The kitchen and laundry room are state-of-the-art, and you also have access to a community gym, pool, and gardens. The communal amenities also include a private bar, spa services, and more. Round-the-clock housekeeping, butler staff, valet and chauffeur, porter services, and more ensure that you are totally pampered during your stay here. Enjoy your meal on the Sunset Terrace, the gorgeous outdoor dining space where you’ll have amazing views of the water for breakfast, lunch, or dinner. You can work out, take a walk along the beach, relax in the gardens, or hang out by the pool and get a massage. 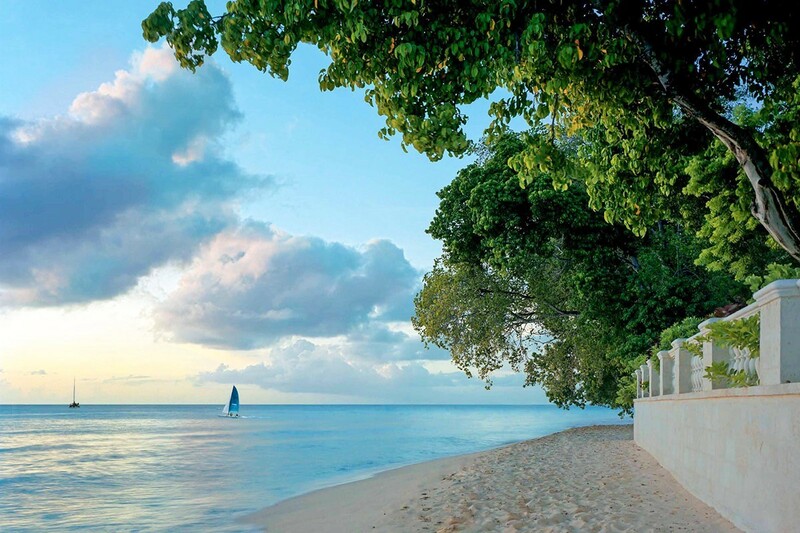 You can also head out to explore Barbados. 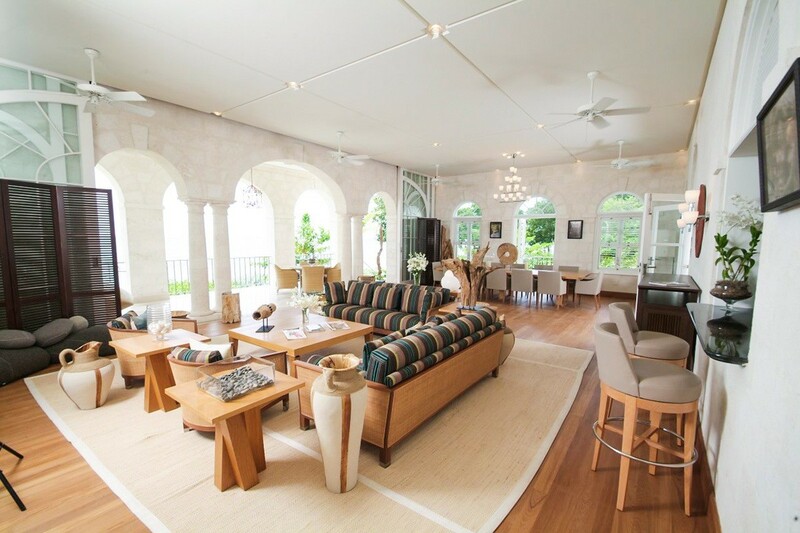 The villa is only a short drive away from the Sandy Lane Golf Course, several polo facilities, and the yacht moorings at Port St. Charles. There are tons of options to get out and have fun, but you can also enjoy plenty of privacy in your own world-class villa. During your stay, you’ll enjoy modern amenities such as Wi-Fi, Jacuzzi tubs, tennis courts, a media room, cable TV, DVD players, and more. 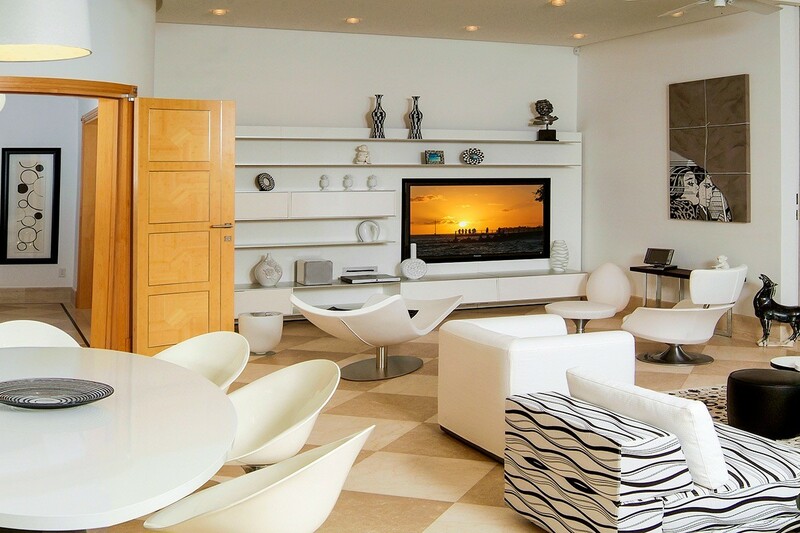 The entire property is protected by a security system, and you can store your valuables in the included safe. 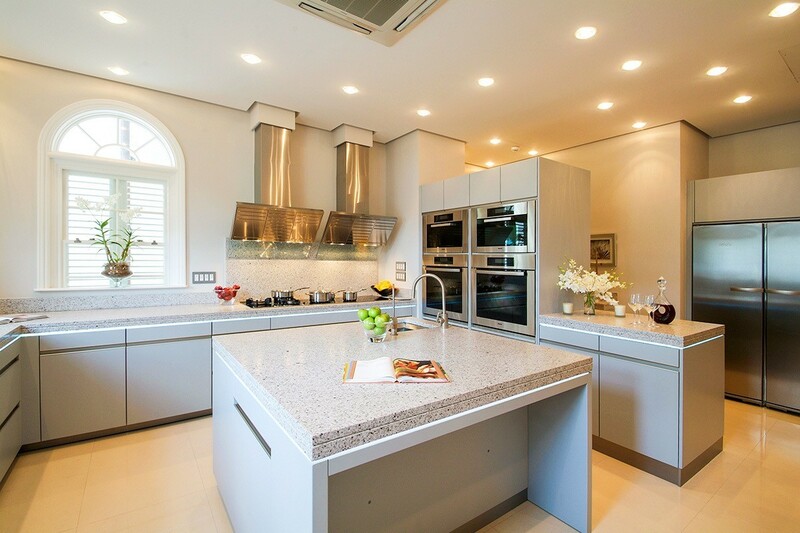 Enjoy a taste of the Caribbean in your gourmet kitchen with wine cooler, or even take care of some last-minute business in the included office. This space has everything you and your family or friends need for an amazing vacation. 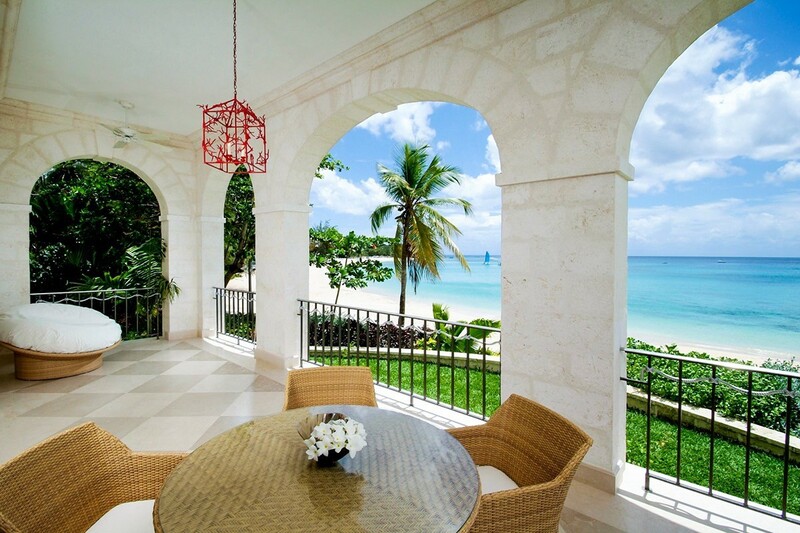 From the view and the sound of ocean waves to the many ways to enjoy your days, to the gorgeous architecture that whisks you away, you’ll want for nothing at One Sandy Lane. 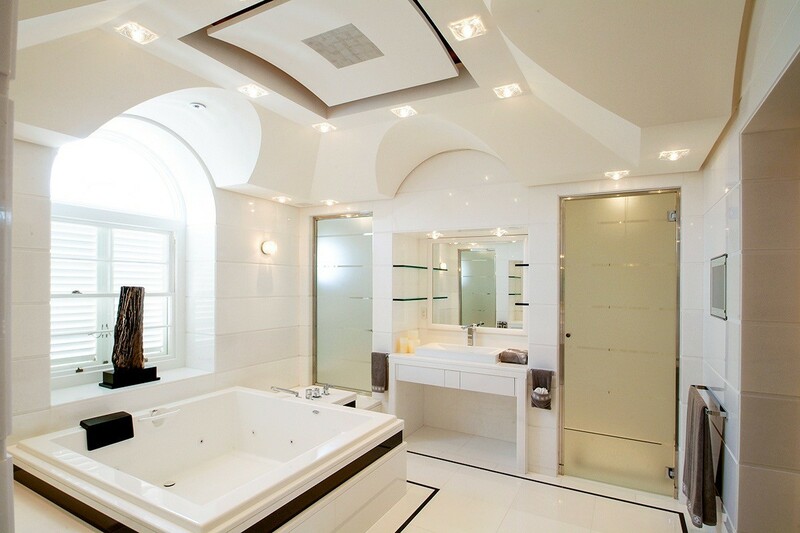 Bedrooms 1 - 5: Bedrooms with a double bed, A/C, ceiling fan and en-suite bathroom with shower, vanity and WC. 2 guests maximum.